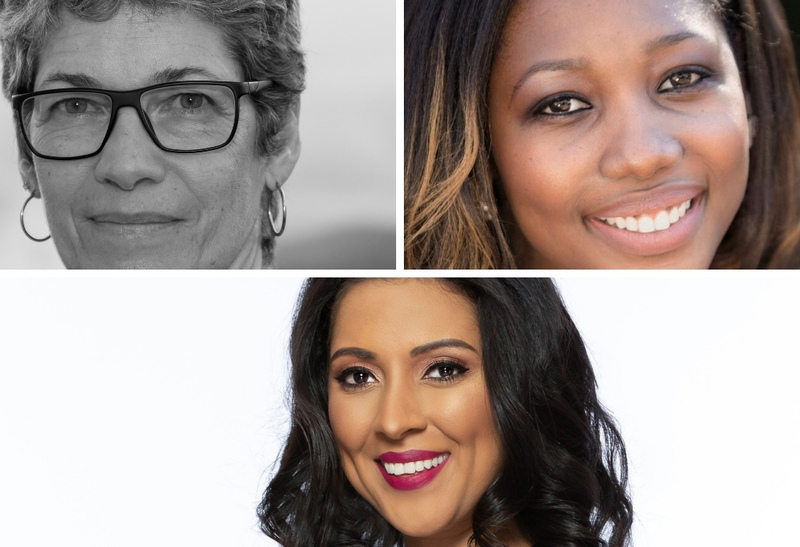 CODE and the Bocas Lit Fest recently announced the finalists for the sixth CODE Burt Award for Caribbean Young Adult Literature. 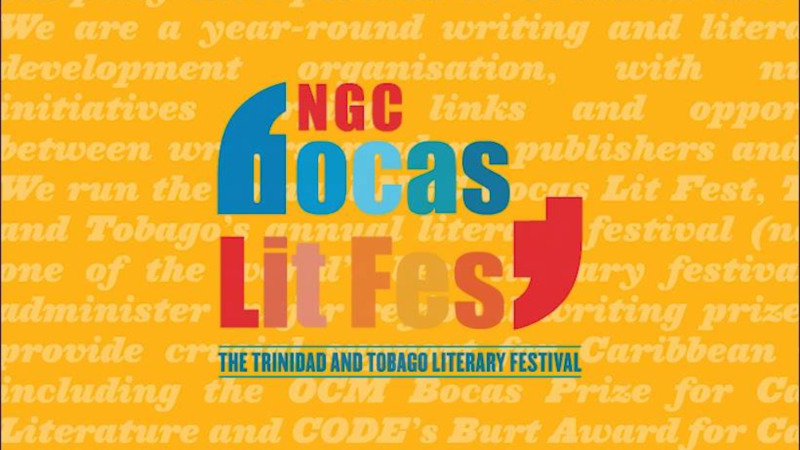 Diana McCaulay (Jamaica), Jeanelle Frontin (Trinidad and Tobago) and Tamika Gibson (Trinidad and Tobago) are the three finalists for the coveted award which will be announced on May 2 at the NGC Bocas Lit Fest. Starting this week, we'll feature a Q&A with each of the finalists where they'll talk more about work, what inspires them, young adult literature in the region and CODE Burt Award. You’re new to the publishing world, but clearly not to writing. Tell us what inspires you to write and how long have you been at it? JF: Writing has been a permanent feature of my life since I discovered how therapeutic it was as a hormonal preteen. *laughs* I still have journals and notes containing my grandest aspirations and, of course, my childhood crushes and dramatic woes. However, none of those grand dreams included writing fictional stories, much less publishing novels. What I have always been obsessed with, though, are fantasy worlds and stories. Fantasy is my absolute favorite genre, whether in novels or movies, and I often escaped to worlds of my creation through daydreams. I kept most of these runaway journeys to myself as I felt they represented the most secret part of a person. As I grew older, my ‘scribbles’ became a magical, efficient tool to unravel even my most complex knots of thoughts and feelings. What inspired you to write The Unmarked Girl, in particular? JF: In June 2016, I had a moment, a defining, divine moment of clarity. I was struggling with the end of one part of my life and trying to understand what needed to come next. I was also struggling with understanding the balance between darkness and light in people, and the decisions they made as a result. As lessons tend to come to me in visual analogies, all dressed up in full movie-like theatrics, my moment manifested in the fantastical cocoon of my imagination. And my lesson was clear: we can never “become” before our “unbecoming” … before we are stripped down and unraveled so that we can see ourselves for who we really are. The Unmarked Girl, and the entire YaraStar Trilogy, takes you on a journey of what I see as the three stages of becoming: finding yourself, knowing yourself, and being yourself. Yara is a strong female character and her story of self-discovery and resilience is inspiring. Were there any lessons you personally learned from Yara, while writing The Unmarked Girl? Did you encounter any difficulties while developing her character? If so, what were they and how did you overcome them? JF: Honestly, Yara developed herself. She even chose her name. I went from not knowing her, to knowing her intimately in an instant. Her personality, her aesthetics, and even her voice were the very first parts of the story that came to me. What I did struggle with, however, was learning how to write fiction and getting myself to a place where I would open this part of myself to the world. Accepting both where I was at in the process (when I first started writing), and that I can always (always) do better, was key. My solution to the other challenge was to begin informally blogging on social media and using this to share my non-fictional views on a plethora of experiences. I trained using this for no less than two years, building myself up to increasingly personal levels of openness. This was one of the best decisions I have ever made, hands down. Why did you choose to create a trilogy instead of a single / epic novel? JF: I asked myself this very question when my release date for The Eld Queen was delayed by one month due to an unexpected, new twist in the storyline. Tell us about a few books you have enjoyed reading and authors you admire. JF: Admittedly, I have read more non-fiction than fiction in recent years, all in service of self-development. A couple of those books have been merges between fictional plots with non-fictional lessons, such as The Alchemist by Paulo Coelho or The Celestine Prophecy by James Redfield. For bringing out my creative side and getting myself to focus, The War of Art and The Artist’s Journey (both by Steven Pressfield) were incredible resources. In fantasy, I tend to read books with strong female characters in worlds with mages, dragons, vampires or simply otherworldly creatures. I believe the Mage Chronicles, a trilogy by Joanna Mazurkiewicz, was one of the last series I’ve read. Why did you choose to write Young Adult Literature, or did it choose you? Are you interested in writing for other audiences? JF: I initially wasn’t sure if this would be for a YA audience or an adult market. But the protagonist’s age tends to lend a very strong hand with that decision. Yara is sixteen-years-old, so she was an immediate fit for YA. Much to my delight, though, a lot of her readers have also been between twenty and forty-five years old. And yes, I am definitely interested in writing for other audiences. I already have material written for that next stage of exploration. What would you like to see more of in relation to Young Adult Literature, specifically from the Caribbean, for young Caribbean people? JF: This may be a controversial view, but please know that I am savagely patriotic: I don’t believe that storylines for YA Literature from the Caribbean are required to be based in the Caribbean. This is not to say that this shouldn’t be the case if a writer feels so inclined. I believe that we pigeonhole the concept of “local” [forms of creativity] to mean that the creations must reflect our culture and landscape. For a genre like fantasy, writers tend to envision other worlds and creatures that may not even belong to this planet, much less this region. The most important thing we can encourage writers to have is the freedom to create what they feel within their souls. I’d love to see more of this freedom and authenticity formally encouraged. With the CODE Burt Award now in its final year, without the usual regional publishing/distribution deal attached, how do you hope to get your book into the hands of schoolchildren across the region? How important is it to you to have your work in our school system? JF: My aim has always been to ensure that Yara becomes a symbol of girl/woman empowerment in the region and to use her stories to demonstrate the greatness of literacy for kids. Having Yara within the school systems would be an absolute dream come true! Honestly, I’m not discouraged. I refuse to be! Putting together solid promotions will be important for this next stage. We have been working on lots of audio and visual content for this trilogy through my boutique publishing company. We have developed fully graphical characters, scenes, and even animated ads (another kudos: Israel Silva’s work for us has been brilliant). I also co-own a music production company that writes and produces soundtracks for the books (check these out at www.jeanellefrontin.com/music ). You once managed the development of one of Trinidad and Tobago’s creative sectors. How do you think investments in literary awards help develop the wider creative eco-system? JF: One of the painful realizations I’ve had over the years is seeing how little people value the creative industries, and knowing it is because they genuinely don’t know the lucrative potential there is here. This is how I would describe what we have: our entire country’s landmass has a layer of pure gold just below the surface, waiting to be mined, but most people walk around never realizing that. What makes this even more insane to me is that we now have enough of the value chain here to turn huge profits (i.e. the ability to extract, process, refine, design, and export the “gold”). I believe our citizens’ inability to see we are literally sitting on a goldmine is what is holding us back. If they did, they’d invest in it in a heartbeat. Literary awards, like this one, enable authors to continue to produce that gold, and it ideally should enable their publishers to mine and process this “gold” for export. In effect, it stimulates the creative economy and turns a greater investment spotlight on the country. This spills over into the entire creative eco-system. This trilogy, for example, can be adapted into film and animation, and we are already producing music for it. Everyone benefits. It’s a virtuous cycle!